If you are thinking to go to Paris, we are sure that this place will make your stay there truly unforgettable. Located in the heart of the Latin Quarter, the Seven Hotel is a boutique hotel with 7 suites, which are the most original and elegant rooms that you never even imagined, and also are equipped with everything that you need. 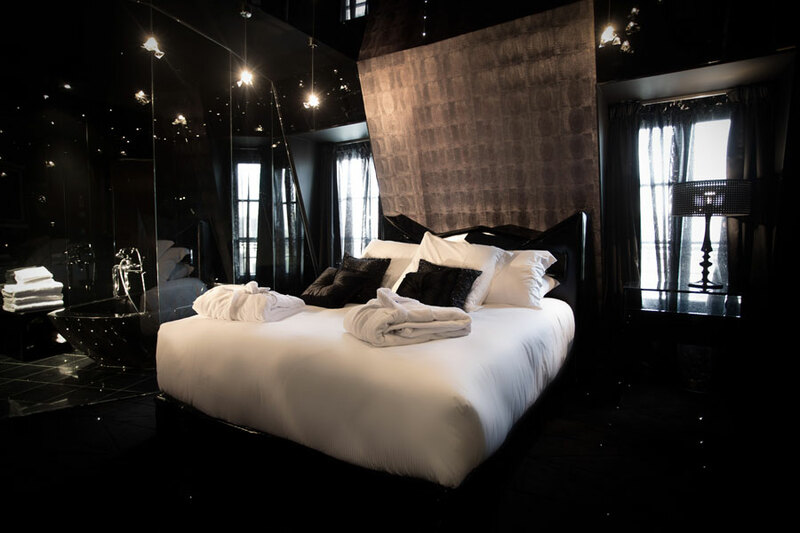 The incredible 7 Boutique Hotel is a luxury hotel with a magical design courtesy of four skillful designers: Vincent Bastie, Virginie Cauet, Sylvia Corrette and Paul-Bertrand Mathieu. The hotel has 35 rooms, 7 of which are suite decorated around a different theme like James Bond, Marie Antoinette, Alice, Black diamond, Sublime, On/Off, Loves-Vouz. Hotel Boutique in Barcelona Ca la Maria wants to share with you a little piece of these seven suites. This room has been decorated carefully and in great detail. 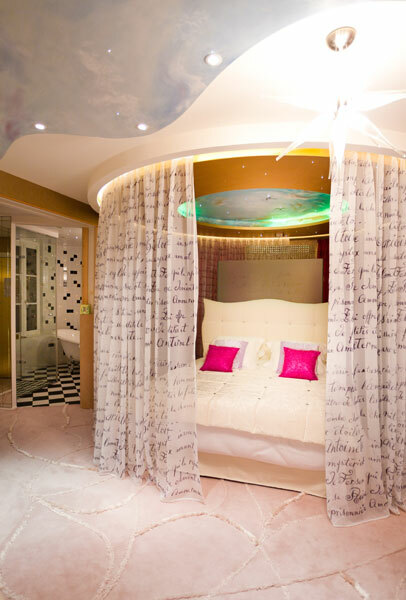 La Sublime Suite is a combination of softness, comfort and luxury. Its design is inspired by the romantic city of Paris. 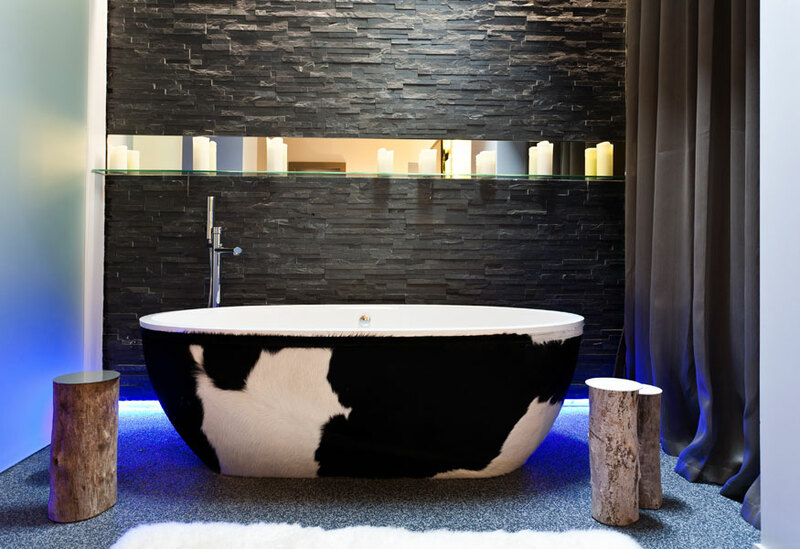 Each aspect is carefully crafted in order to take you to a refined, romantic, original and elegant universe. 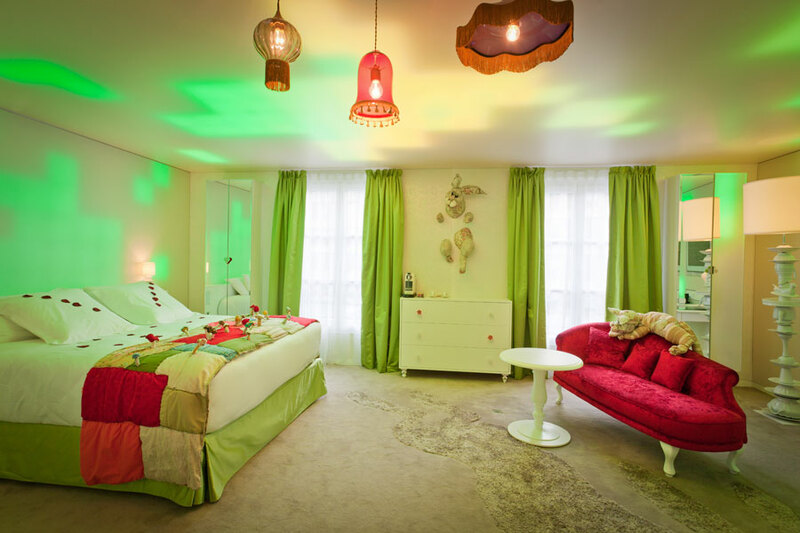 This room is specially designed to couple in a romantic getaway. 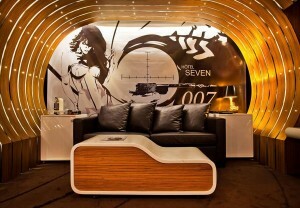 An exceptional futurisic design around the British spy’s 007. This suite is a blending of sophistication, elegance and glamour which will leave you an unforgettable taste of adventure. Exceptional Parisian pleasure with a perfect combination of simplicity and creativity, comfort and design. 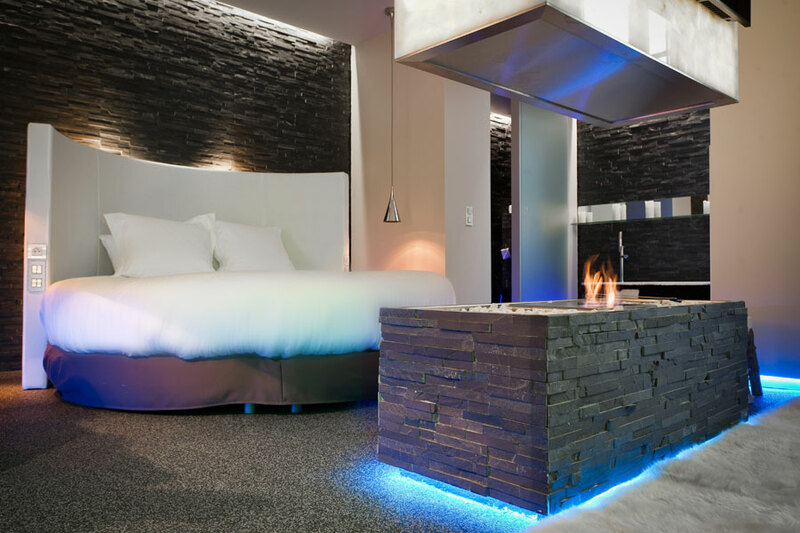 You will enjoy this cosy and chic room with its blend of the noblest fabrics and the most innovative technology. A fantastic and colorful place where the fantasy is the most significant player in the room. Are you ready to live a true dream night? This room is inspired in a glamorous boudoir, will charm each and every one of your senses during your stay in this luminous little Versailles. As you would open a jewel case with delight. Filled with joy, you’ll never want to leave this precious jewel.Open this precious case and let your eyes delight in this sophisticated atmosphere. An unprecedented experience which transform the suite with a simple click of a button. 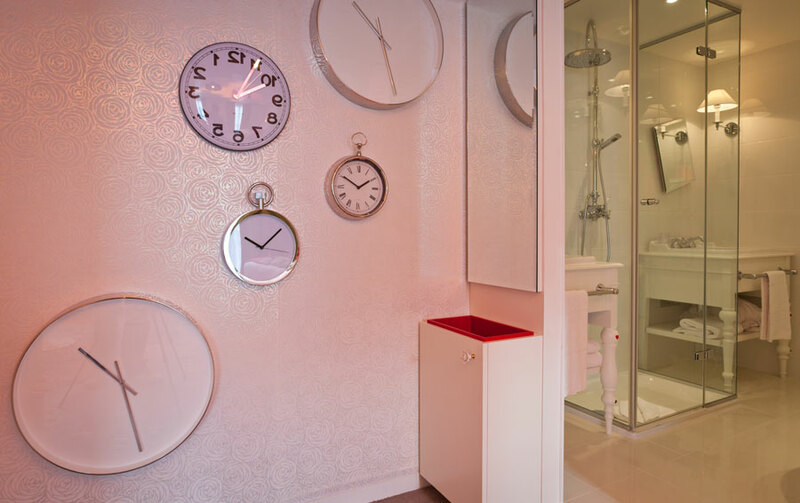 Explore the wonder of travel according to your whims in the “On/Off” suite’s sophisticated world. Do not doubt, not even for a moment and come to 7 hotel if your are thinking to came to Paris: luxury rooms, good location, awesome service and quirky details… because the place where you sleep is as important as any other aspect relating to your journay. Hotel boutique in Barcelona Ca la Maria wish you a nice trip!